Dipl.-Math. Dr.rer.nat. Armin Rund - Rund, Armin, Dipl.-Math. Dr.rer.nat. Armin Rund is PostDoc at the Institute for Mathematics and Scientific Computing within the group of Karl Kunisch. 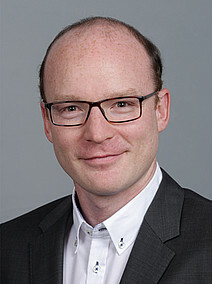 He recieved his PhD at the University of Bayreuth in 2012. From 2012 to April 2018 he worked as a PostDoc in the Special Research Center MOBIS. From 11/2015 to 2018 he was also a member of BioTechMed-Graz. In 2016 he won the ISMRM Challenge on optimal design of RF pulses for magnetic resonance imaging, see the ISMRM highlight from Sept 24, 2016.